A few weeks ago I was sitting there pondering how much I enjoy a good old-fashioned Metroidvania game. 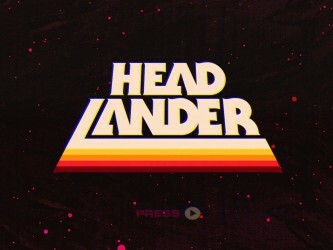 After pondering the possibility of brushing off my DS for some Castlevania, or maybe digging back into Shadow Complex or Axiom Verge, Adult Swim showcased their capacity to read my mind by sending me a code for Headlander, the new Metroidvania game by perennial BrainLazy favorites Double Fine. Let’s take a look. Like so many Double Fine games, the graphics of Headlander are as much about personality and style as they are about quality. Yes, things look good, but more importantly, things look unique. From the title screen there’s an “Old Future” vibe, with a multi-color bloom around things in much the same way a poorly tuned CRT might distort them. There’s a term, Zeerust, that is frequently used to describe the specific version of the future that 1950’s sci-fi envisioned. This isn’t QUITE that. 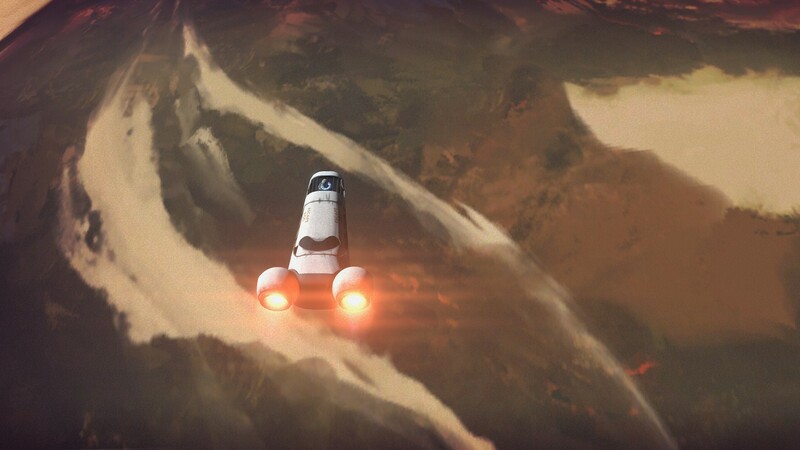 For one, the ships have an overall more epic and realistic shape than the clichéd chrome rockets of old. The robots are more lithe and nimble than the arm-flailing robots of those days as well. If anything it is a future as imagined by someone who knew most technology would improve, but believed the design and social sensibilities wouldn’t. So we are still treated to the oddly angular consumer electronics, the blobby, organic shapes, the shag carpets, etc. Color plays a major role in the game as well, either from the point of view of the weapons which are color coded by security level to just the overall psychedelic coloration of deaths and potent shields. 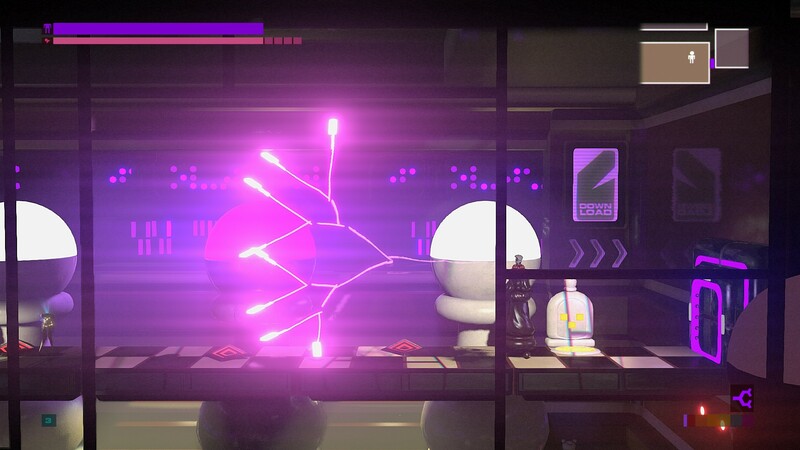 Since exploration and immediately identifying the behavior of doors and other interactive objects are extremely important in an Metroidvania game, I was happy to find that exceptional thought and care went into detailing the levels. The mini-map is designed such that you can usually identify the presence of an optional power-up, but you aren’t beaten over the head with it. Likewise, subtle design and layout clues in the actual rooms do a good job of guiding the eye to a potential secret while still tucking it quite nicely out of the way. Thus, when the inevitable late-game double-check for missing power-ups came along I was pleased to find I’d found many, but not all. In my case the remaining unexplored areas were almost perfectly calibrated to give me a few more bites of the apple without groaning over how much I missed, and I feel that comes down to the graphics more than anything else. In fact, there was only one time when I was stymied by a visual cue, expecting to be able to use what turned out to be a one-way door. Near perfect in both style and execution, I’d say. By now I would like to think you all know what the ins and outs of a Metroidvania game are, so I’ll work through them quickly. The bulk of the game focuses upon acquiring power-ups that serve to both better arm you and help you in exploring previously inaccessible areas. This exploration includes finding rooms which increase the speed of travel, rooms that contain hidden power-ups that make the game easier but aren’t necessarily necessary to beat the game, and, typically, save points. Headlander does things a little differently. 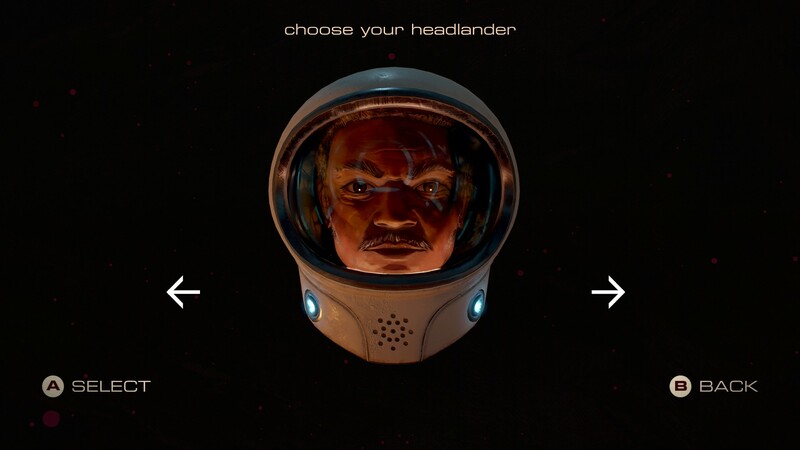 You play the game as a disembodied head. Initially your only options are vacuuming the heads off of robots (in order to hijack their bodies) or hiding. Eventually you’ll gain shields that reflect attacks, thrust that increases your speed or even makes you a projectile, and other worthwhile improvements. The vast majority of your gameplay, though, focuses on simply accessing bodies with the proper traits to help you continue. Different bodies have different weapons, with everything from the standard single-shot to 4-way shots and even continuous lasers. More importantly, though, they have different colors. As a head, you can’t use doors at all. Once you grab a body, you can use doors only that are equal to or lower than your body’s current color on the ROYGBV scale. This means it isn’t as simple as earning the missile power-up and using it to open missile doors. You’ve got to find a robot body with the right clearance, hijack it, then KEEP IT ALIVE at least until you reach the door you’re trying to access. Further complicating matters, bodies can’t jump, so certain routes will require you to abandon a body, and more than one secret requires you to find a very roundabout path to a door in order to get there with the right body. Heck, there are miniature doors accessible only by vacuum cleaners, so you’ll be trundling through a battleground as something without even a means to attack. Another uniqueness in the game that actually ads the rare bit of non-linearity to the game is the upgrade structure. 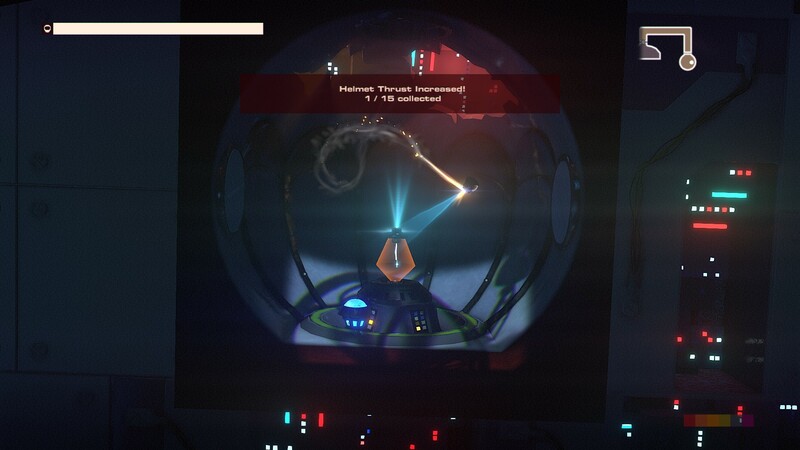 While you do unlock different branches of your tech tree with upgrade rooms, certain abilities are effectively unlocked by amassing enough crystalline energy (this game’s equivalent of experience) to unlock the upgrade. That means you may spend lots of time making yourself a better fighter—installing body regeneration or strong melee for your robot bodies—but in turn my delay your capacity to access areas that require a shield upgrade to get to. A final unique element of this game that I really enjoyed was the “rebound” aspect of the guns. Virtually all guns and virtually all walls will rebound projectiles quite a few times. Not only does this mean that in a serious firefight the room descends quickly into chaos, it means both you and your enemies can spend time lining up bank shots to try to take each other out around corners and such. And adding to the value of such precise aiming is the fact that taking over a body requires you to knock off the head, so a head shot gives you instant access to a new body while body shots will leave that body damaged or destroyed by the time you get to it. Wrapping up the gameplay and checking off a few final Metroidvania boxes are the big bosses and the backtracking. Bosses are rare but fun, and as I said earlier, backtracking was refreshingly brief and almost unnecessary if you paid attention along the way. Overall, I found the gameplay excellent, though using the controller as I did, I found it very difficult to line up very precise shots. The quick-transport system wasn’t perfect either, because it requires you to remember the name of the area rather than just showing it to you on the map. The bosses are also multi-stage and at least vaguely puzzle based, so in more than a few instances I found myself getting irritated when I’d get nearly to the last shot and die, requiring me to start over from scratch, but that’s more me getting spoiled by more forgiving games. The music in this game is very good, helping to build the atmosphere and bizarrely hedonistic yet not-quite human world. What I liked even more, though, was the voice acting. Since this is a world almost entirely peopled by robots, every automated system has a personality. The doors appropriately named Rood (and yes, I JUST realized that’s door spelled backwards) mock you with color-related puns if you can’t access them. Vacuum cleaners have a vendetta against central vacuum units. Mappy the map (which also serves as the map data download) is psychotically helpful. At least initially… Vapid “impostors” say suitably pointless things, the villainous shepherds bark robotic orders, etc. The more dramatic roles, some of home I cannot even mention by name for fear of spoilers, are well voiced as well. If there is a weakness in the audio, it is the age-old problem of a joke only being funny the first time you hear it. So if you’ve got the sort of comedic impatience that makes you grumble at hearing the same “you can’t open this door” message more than once, prepare for irritation. Because even though seemingly every action has got multiple comments, you’re GOING to hear them more than once. The story is compelling, and reveals itself slowly. I can’t dig TOO much into it without spoiling, but here are the broad strokes. It is a distant future. Most humans have had their intellects ported to “imposter” bodies that are robotic, un-aging, and immortal. You, the initially unnamed Headlander, find yourself instantly at odds with the AI running things, an ancient program called Methuselah. Eventually you’ll become embroiled in gladiator combat, a rebel force, and an exhistential quandary of what it is to be human. The game utilizes pre-recorded messages to reveal aspects of the story to you, and brings you eventually to an ending that is somewhat weakened by the gameplay requirement of letting you return to the game to finish exploring. This was a truly interesting game. 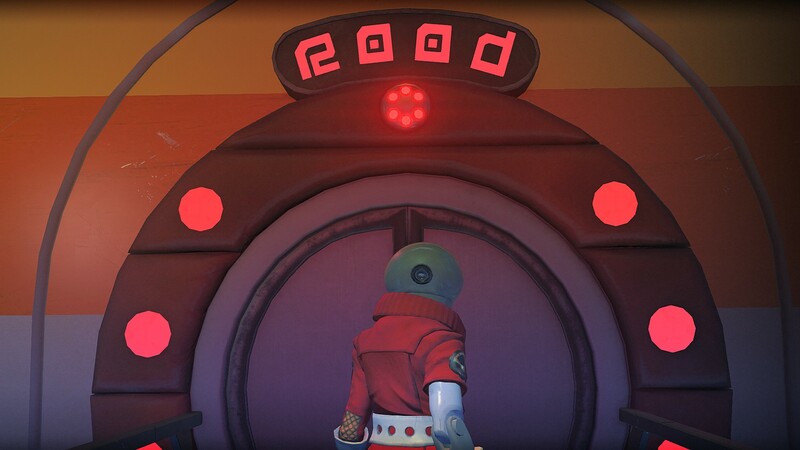 While the genre is one with countless entries, there were enough innovative ideas in Headlander to make it feel fresh. 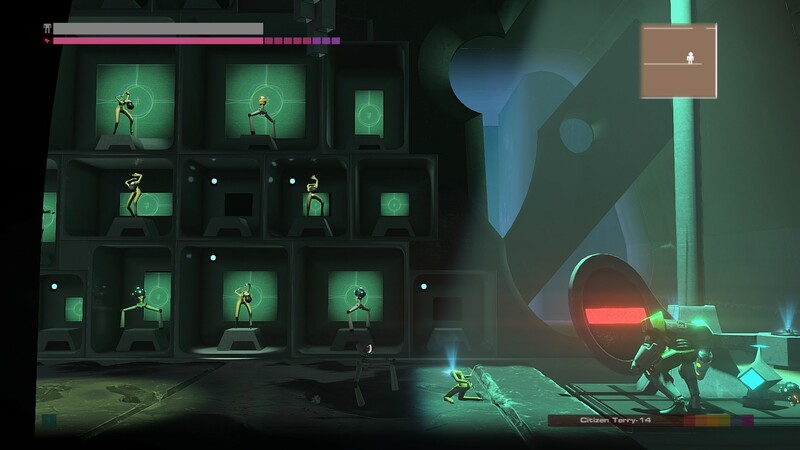 The rebounding guns and difficulties in traversing with different types of robots made for brand new puzzles, and the action was still good enough to make you feel like you were playing a game instead of just slowly uncovering bits of a map. I truly enjoyed it. 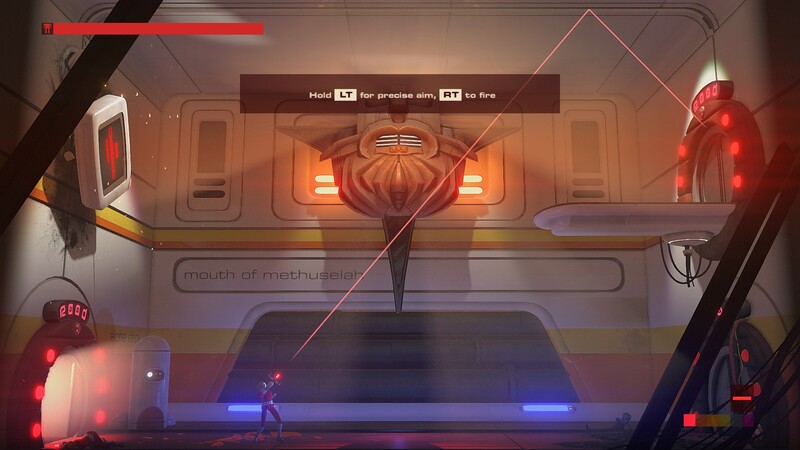 9.5 / 10: Headlander is a brilliantly voiced, gorgeous, and unique take on the Metroidvania genre with an engaging story.